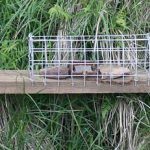 The National Anti-Snaring Campaign (NASC) has condemned the decision not to prosecute two gamekeepers suspected of illegally killing badgers with snares. The case is believed to be the worst ever badger snaring incident in the UK. The Crown Prosecution Service have decided no-one is to be charged following the snaring of at least six badgers on a shooting estate near Stockbridge, Hampshire last summer. The snared badgers were found just a few hundred yards from a large badger sett on the National Trust owned Stockbridge Down. 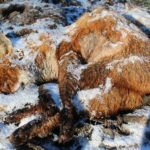 An investigation by the National Anti Snaring Campaign and League Against Cruel Sports exposed how the badgers – a protected species – died after becoming trapped in snares set on the Heath House Estate at Stockbridge, Hampshire. Investigators also found the skeletal remains of a fox hanging from a snare in situ, with the frayed and twisted wire testament to the terrible ordeal undergone by the fox in its final hours of life. 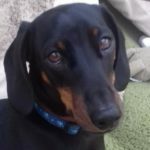 Investigators were originally alerted to the area by a member of the public who noticed a smell of dead animals after her dog was caught in on of the snares. 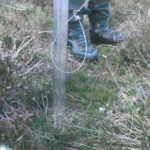 The snares were found to be set on barbed wire fences, contrary to DEFRA’s code of practice, and the badgers had died some weeks apart, indicating the snares had been reset after badgers had died at the same location. Hampshire Police’s specialist wildlife officer, Sgt. Louise Hubble arranged for post-mortems to be carried out on two of the snared badgers: these showed one died from strangulation, and another, that had been partially buried, was found to have been shot, but still had the remains of a snare around its neck. Two gamekeepers were interviewed by police, but escaped prosecution by simply claiming they had not set the snares. However, the landowner, Mr Donald Hutchinson, admitted to police at the scene that “badgers do occasionally get trapped on the estate, but that they do not intentionally set out to trap them.” Police have indicated that Mr Hutchinson has agreed to ensure no snares will be set on the estate in the future. Needless to say we will be checking the estate.